Major Amriza makes STJ and Presstij proud! 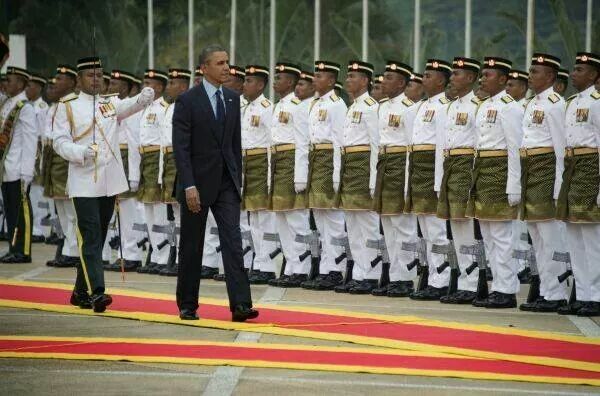 Kuala Lumpur April 26, 2014- President Barack Obama inspected a guard-of-honour mounted by 107 officers and men from the First Battalion of the Royal Malay Regiment led by Major Amriza Mohd Asshari. Presstij would like to congratulate Major Amriza Ashhari STJ Class of 95 for his perfect performance at the Parliment today. You certainly make your parents, family, friends, STJ, ATM and country proud! Not bad for a boy from Gontam.